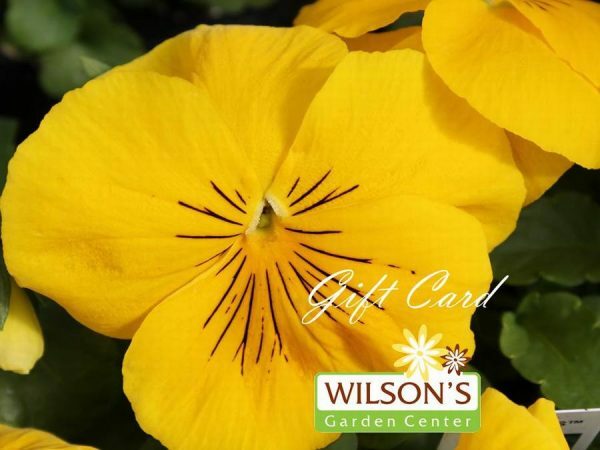 Card is redeemable only for merchandise or services at Wilson’s Garden Center. Unused value remains on card and cannot be redeemed for cash. We are not responsible for lost, stolen or damaged cards or for any unauthorized card use. Card has no value until purchased. 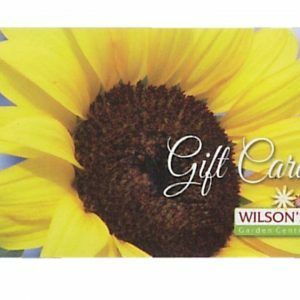 Gift card will be sent through email within 24 hours to the recipient provided. 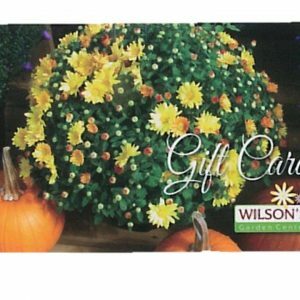 If they do not receive the gift card within 24 hours, please have them check their spam folder. 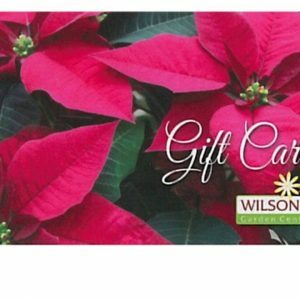 Please call the store (740)763-2873 if not in spam or the inbox. When checking out, please make sure to double check that the email addresses you are entering are correct.